Indoor play centers for kids can feel like Christmas every day, and can give parents a much-needed break. They’re the perfect rainy day activity to keep kids off the couch and in action, helping them to stay healthy while having fun. These nine best kids’ play centers in Mississippi are ideal for parties, play dates, or just a simple family outing. This bouncy castle haven is the perfect place for a party, but you can come to play anytime. With eight huge inflatables, a toddler zone, and separate party rooms, kids of all ages can come have a good time. They also offer free Wi-Fi for non-playing parents, along with plenty of seating while you watch the kids play. Don’t worry about the weather—the indoor play center here has plenty of fun to offer every day of the week. Kids love the inflatable slides and obstacle courses, and there’s also a special zone for younger mateys. They have a full concessions menu and arcade games to keep the fun going all day long. As the city’s only indoor play center for kids, this place is so much more than a playground. Along with inflatables and obstacle courses, they also feature a big arcade room and parent’s lounge complete with Wi-Fi and a big screen tv. One price grants you all-day access—no time limit! No playground here, but older kids will love the arcade games and earning tickets for their efforts. A laser maze, bowling, mini golf, mining, and go karts contribute to a full day of play in a single location. Everyone in the family can cash in on the activities. There’s a lot happening here for kids, and it all takes place inside to avoid unfavorable weather. The indoor waterpark is the largest of its kind in the area, giving kids plenty of slides, splash pools, and water features to play with. The center also offers a variety of programs for kids, including art, sports, and music. If your kids love to jump, there’s no better way to spend the day than at this mega trampoline park. You can buy jump time by the hour and let your kids bounce out their energy. They also offer special toddler hours for your mini jumpers. This national party rental service also offers open play time where kids can let their imaginations run wild. Not just for fun, all the jumping, bouncing, and playing they do is healthy for them. Parents love the cleanliness and organization of this indoor play center and highly recommend them for birthday parties. Located inside the mall, this magical animal journey for kids up to age 11. Open to the public and available for party rentals, this safari-themed playground is perfect for growing imaginations. Join them on the weekends for their open glow parties. 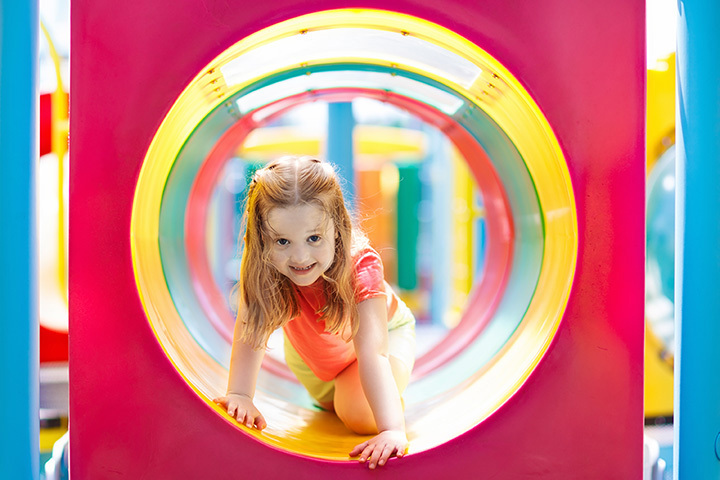 The area’s only sensory-friendly gym offers open play for children and their parents or caregivers. The gym was designed to provide motor-friendly activities that are safe and fun while promoting physical development and confidence. They also offer a variety of classes that include play time in the gym.